As seen on Minnetonka Boulevard: This is not a nest. It is an odd growth of branches called "Witches' Broom". The University of Minnesota Horticulture Department assured my wife that it is not the result of jet contrails, or nuclear radiation. 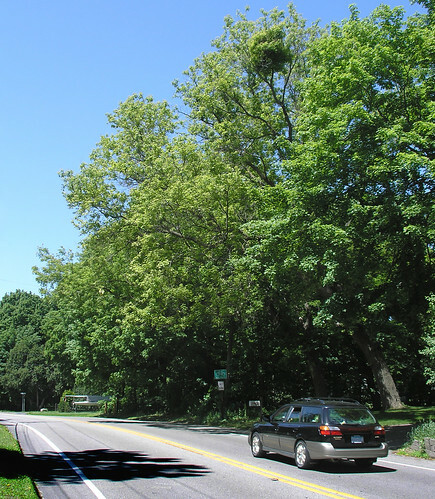 The cause can be tree fungus, insects or de-icing salts. I tend to prefer the traditional explanation: Witches flying overhead have caused this broomlike oddity to grow in the trees. I have found bits of history of Lake Minnetonka that include references to the infamous Jesse James/Younger Gang. They are simple recollections of locals (the first of which I have included has an incorrect date, or false memory). Historically the James/Younger Gang came to Minnesota and spent some time casing out banks for robbery. 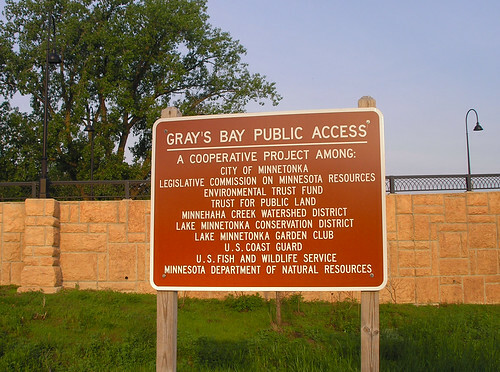 It is no surprise that they would spend time in the early 1870s checking out the growing Lake Minnetonka and Wayzata area. This was a prosperous area, with the population growing faster than law enforcement. From "Tales On A Lake"
of the times.September 9, 1876. It was a failure for the infamous James Gang. The money was left behind, along with two dead robbers and two dead townsmen. All the robbers were injured in the “Battle of Northfield”. What has always interested me is how any of the James Gang escaped the barrage from the quickly assembled force that confronted the robbers. The answer seems to be this: The townsmen were local citizens and farmers who were armed with shotguns. They were armed with shotguns loaded with birdshot and other light loads intended for varmint and game birds, not for larger game. Many of the gang received injuries at close range, but did not die, but were seriously wounded. Side bar: In 1969 their namesake "The James Gang" released the hit song "Walk Away". 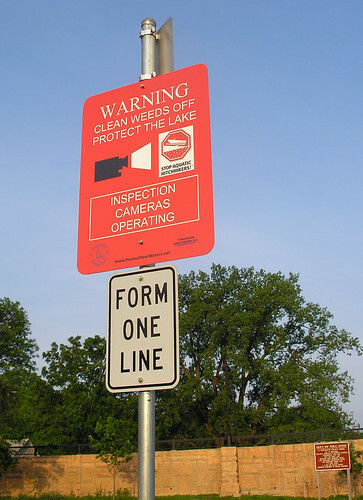 Form one line. Hey you milfoil, get behind the Zebra mussles. 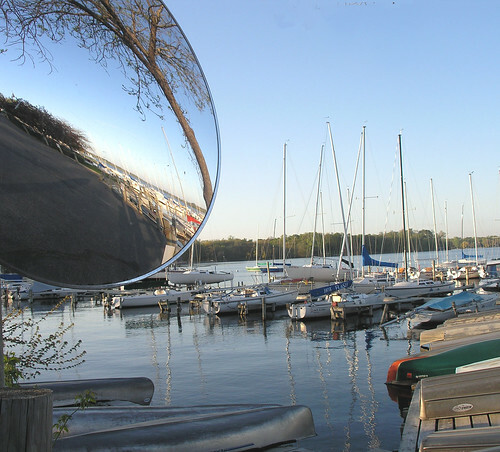 I paused in Wayzata to take a few photos of the sailboats filtering in from their lower Lake Excursions. This evening I decided I would obey the "NO TRESSPASSING" signs posted about, and I took my photos from a plebian's distance. A woman asked me if I was taking pictues of the sunset. The sun would not set for another hour so I assumed she was being obtuse. "No, just the sail boats". - A tourist. I was returning from the Minnetonka Center for the Arts, where I attended a "Members Show" opening. I am considering membership, so a little research is in order. The work shown was uneven, but that is to be expected at a members show. Prices were also uneven, with some very nice work underpriced (IMHO). My mind filled with a clutter of thoughts as I viewed the work. One observation is that I have never enjoyed worked shown "Salon Style'. This is where work is shown with many pieces shown on a wall stacked vertically to display as many pieces as possible. I suppose it is unavoidable. There was some excellent stone work - reductive sculpture. I saw an artist posing with his slightly futuristic sculpture of a screaming horse head . He seemed quite happy. A quiet morning after a weekend of 50 mph gusts of wind. We decided to spend our meager winnings from Canterbury Downs on a pizza. Papa Johns would not answer the phone. My frustrtion set in. You cannot get a good pizza delivered to Cottagewood/Deephaven. Papa Johns was always a "punt" situation. We picked up the phone book, flipped the pages, and called Gina Maria's having decided to gamble again. Yes, they would deliver. We were on their delivery fringe. I am pleased to report to the good citizens of Deephaven. 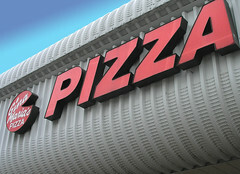 You do not have to order chain pizzas! Gina Maria's delivers! "Whether you consider yourself a connoisseur, or just apprectiate good food, Gina Maria's Pizza stands out from the rest". I concur. It was an old fashioned, quality pizza with a great sauce. My apologies for my photo provided. The leftover pizza tasted great, but it photographed poorly. It was a cool and windy day in Shakopee with the flags flying horizontally. 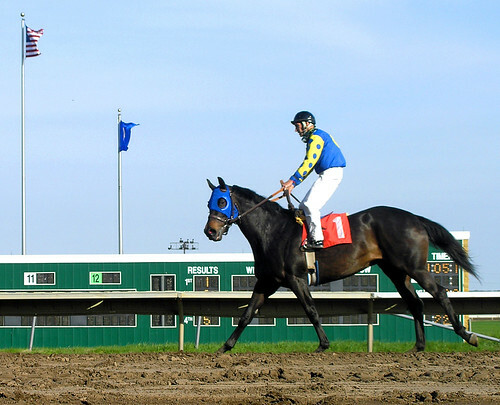 It was Opening Day at Canterbury Downs, coinciding with the Kentucky Derby. I enjoyed the mix of Southern Belle attire and beaded, embridered blue jeans and Harley paraphenalia. I bet on two races. I won on one, Race #8 with "Asian Wind" taking first. I ended up slightly in the black. My wife bet on Curlin in the kentucky Derby to "show". He took 2nd, for another windfall gain. Our winnings paid for our refreshments and a pizza later that evening. Here our eyes bow out, like a fisheye lens. 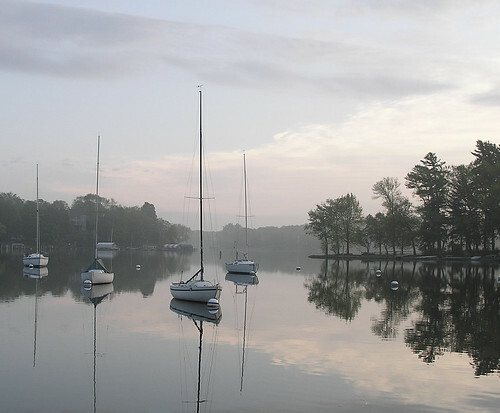 The marina in review is expanded to show a broader view. 6:30 am. 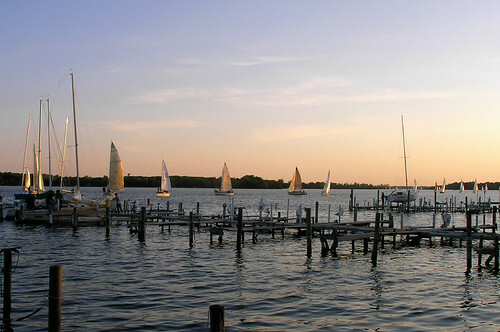 The Wayzata Marina boats, docks and moorings are shown forward and back. Quiet.